This is what we are best known for: synchronization. And we cannot stress enough what the importance is of a calendar that is synchronized with your CRM system. It will guarantee that you never miss an appointment! It will also provide you with an overview of your contacts and tasks, no matter what system you are using. In a time where software and applications are constantly renewing, it is important that you make sure they all connect to each other. That’s why we have been developing multiple synchronizers up until now and we will continue to do so. We made a synchronizer for Outlook/Exchange (including online environments), Lotus Notes and Google and are always exploring new syncing opportunities. 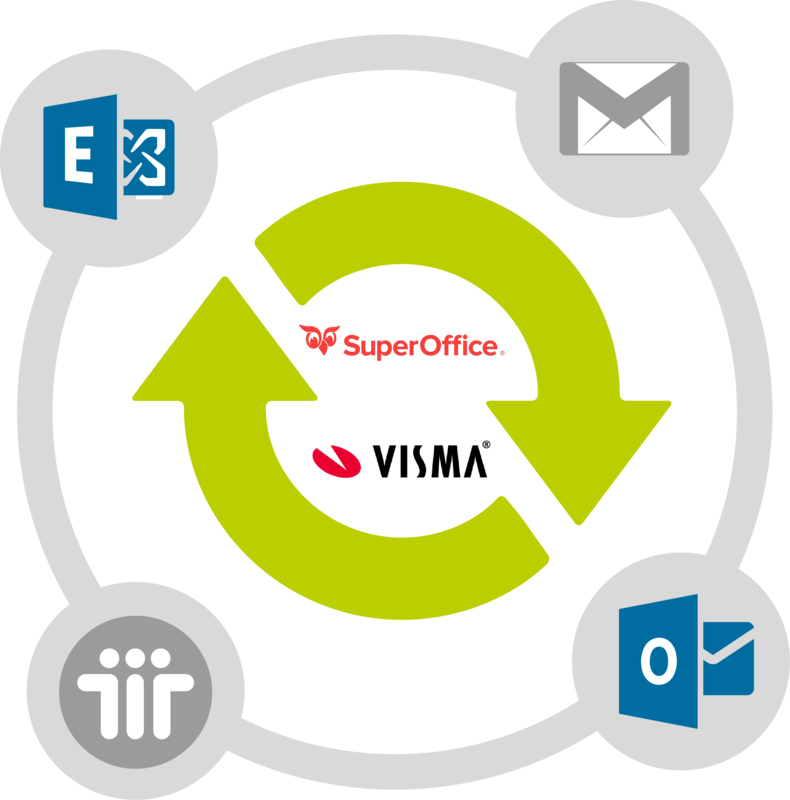 We have managed to connect these calendar systems to SuperOffice CRM and Visma software. 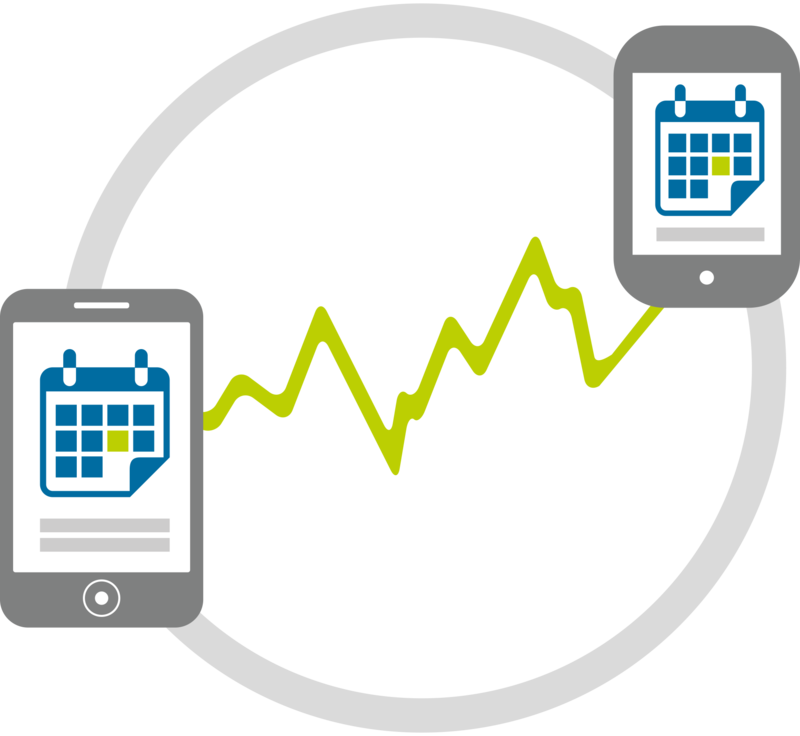 Do you want to know more about the importance of synchronization or do you want to know more about how we can help your company to be ‘in sync’? Please contact us! We will happily help you look into the different possibilities! A business process is a set of steps or tasks that you and your team use repeatedly to create a product or service, to reach a specific goal or to provide value to a customer or supplier. This is pretty clear. And we also know that when your business processes are streamlined and work well, they can significantly improve efficiency, productivity and customer satisfaction, which of course is very important. The problem is that we do not always know how to optimize our various business processes, which leaves us stressing about unnecessary things. 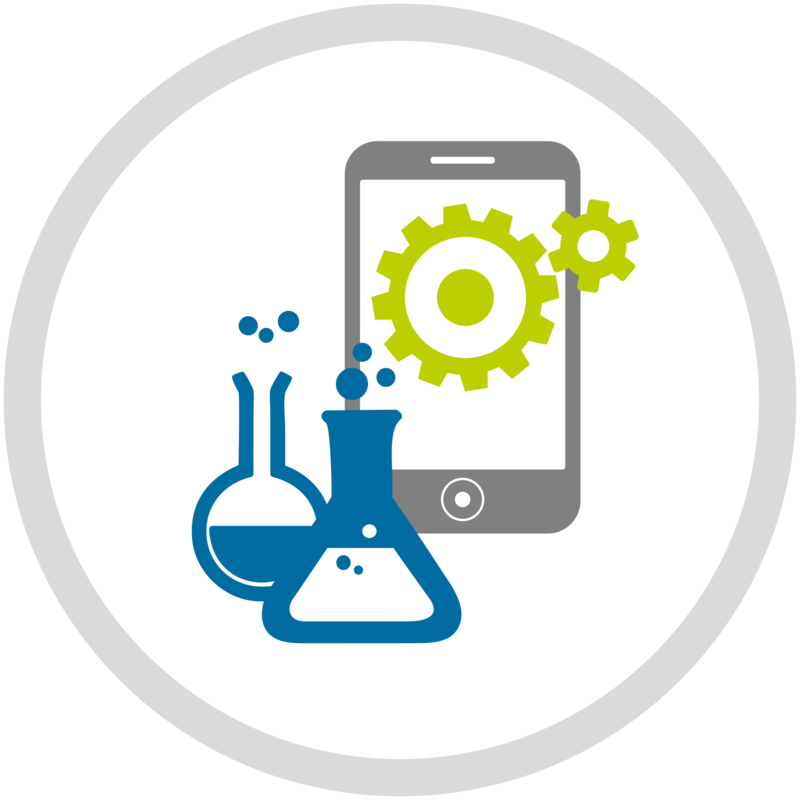 We develop generic applications that fit most company’s needs, but there is always the possibility that the application we developed needs tweaking to make sure it fits your specific company wishes and needs. We also encounter situations in which we need to build software from scratch when there is no suitable software available. We are always willing to discuss your company needs and find a suitable solution. Please don’t hesitate to contact us. Come talk to us and let’s find out how we can optimize your daily business processes by creating business specific solutions for your company.